PRODUCT PACKAGE --- Price is for 1 pc Bunny Ears Headband. PRODUCT MATERIAL --- Made of velvet, comfortable and cute to wear. The ears are bendable, iron wire is inside the ears headband. PRODUCT DIMENSION --- The length of each ear is approx. 9 inches, and the width of headband is approx. 5-1/2 inches. Cute and nice bunny ear headbands fit most people for Easter celebration. Sizes are also suitable for children. MULTIPLE USES --- Great and fun for Easter celebration, Easter egg hunt, Easter dance, stage performance, cosplay, dress up, adorable and nice photo prop for family pictures, etc. USE OCCASION --- Perfect for Easter, Halloween, Christmas, birthday, wedding, baby shower, bunny themed party and more. The length of each ear is approx. 9 inches, and the width of headband is approx. 5-1/2 inches. 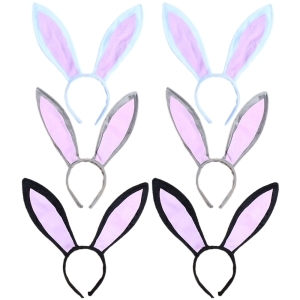 Cute and nice bunny ear headbands fit most people for Easter celebration. Sizes are also suitable for children. Made of velvet, comfortable and cute to wear. The ears are bendable, iron wire is inside the ears headband. Great and fun for Easter celebration, Easter egg hunt, Easter dance, stage performance, cosplay, dress up, adorable and nice photo prop for family pictures, etc. 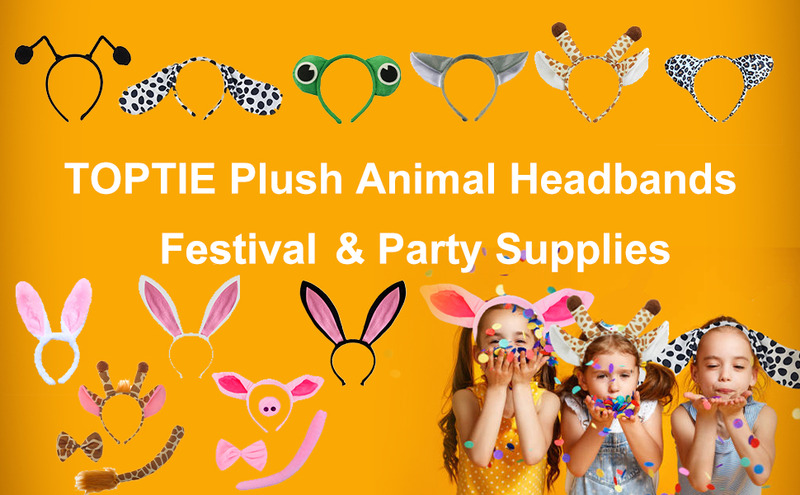 TopTie headband is the best complement for your every costume. Made of soft velvet, plastic headband and iron bunny ears. The bunny ear is collapsible, just maket it to your favourite shape. You'll have one headband for different views. It has great flexibility and it's designed for both adults and kids' costume and party decoration. Perfect for costume parties, cosplays, games, shows, bar favors or trick-or-treating! Arrived quickly but poorly made. Very cheap, but good for the price. Was perfect for my one day at Comicon.